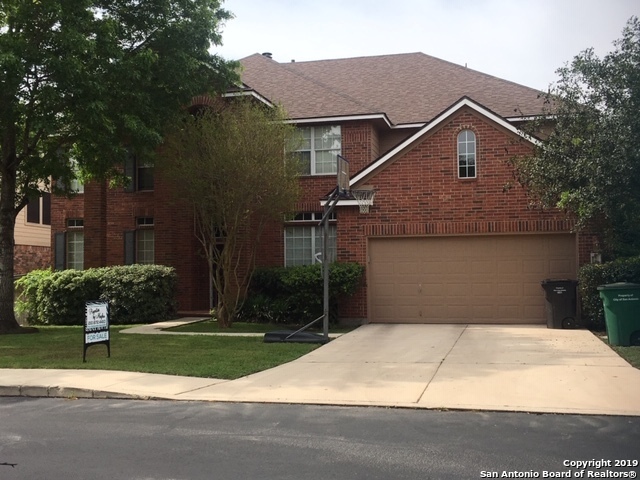 All ROGERS RANCH homes currently listed for sale in San Antonio as of 04/24/2019 are shown below. You can change the search criteria at any time by pressing the 'Change Search' button below. 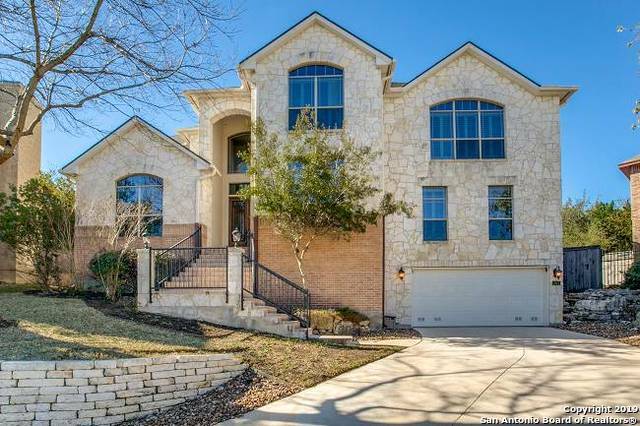 "Stunning custom home in Rogers Ranch. One story living with gameroom, one bed/bonus room, bath,and sunroom upstairs. Fantastic views, Keith Zars pool, outdoor kitchen and pool bath with shower built in 2015, open floor plan, high ceilings, Sub Zero Refrigerator, plantation shutters, travertine tile, wood floors, composite wood patio deck and mature trees. Custom closet in master, newly painted kitchen cabinets, 1 year old icemaker in bar, Mosquito Nix system, Roof only 2 years old. Come and see!" "Your client must be pre qualified before viewing this home. Buyer is to verify measurements of rooms. All curtains and blinds convey.This listing is a part of 4 Hoa's. Point Bluff 152.25 quarter $180 transfer fee, Gardens Point Bluff $237.60 Quarter $180 transfer fee, Shavano POA $60.50 year $180 transfer fee, Point Bluff Swim Club $242 year $180 transfer fee"
"Enjoy this impressive home with lovely custom updates & 5-star resort worthy pool that is heated & chilled*4 or 5 BR*Recently added custom kitchen Island + breakfast banquet*Updated master bath like a fine spa with glass mosaic tiles*Study*Master Down*2nd floor offers 3-4 BR*3rd floor is fantastic flex space for media room, man cave,playroom or craft room*Great storage w/walkin attic*Backyard paradise:covered patio,outdoor kitchen,yard & pool w/sunshelf,waterfalls,grotto*Awesome views from 2nd f"
"Large 3 story home in Cul-de-sac* Backs Green Belt*Open Floor Plan*All Bedrooms Have attached Baths* Cieling fans* 2 Covered Patios*Spacious Game Room*Office* Library*Extended driveway*540 Sq ft seperate quarters behind home with full bath*Great Schools*Close to 1604/utsa/Medical center*"
"Beautiful Rialto Home in central location with controlled access. City View, Dual Masters, Game Room, Media Room, and great open floor plan. Great kitchen set up for sharing family meals and entertaining. 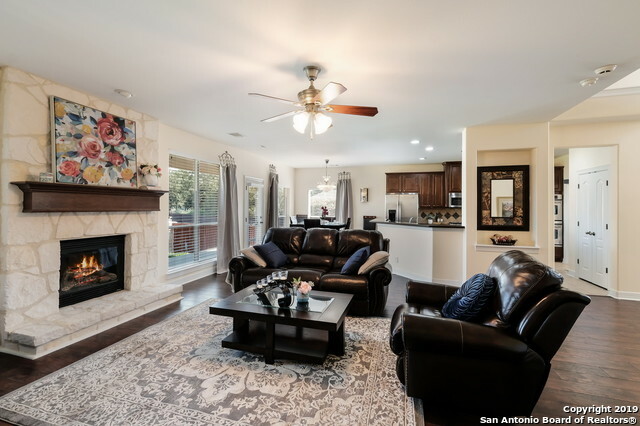 Convenient to major roads, shopping, fine dinning, airport, entertainment, La Cantera, Valero, The Rim, Medical Center Stone Oak, and so much more! The office could also be converted into a 6th bedroom. The room above the garage can be used as an office or additional storage. Has A/C and Heat m"
"Exclusive gated Point Bluff of Rogers Ranch. Move-in ready! Exceptional custom home/attractive stone & brick exterior/premium cul-de-sac location. Grand master retreat+guest BR+study+exercise rm down. 3BR+game/media rm+play/craft rm up. Bonus/man cave over 3car garage. Chef's kitchen (granite tops/stainless appliances/gas cooking) open to family rm with fireplace. 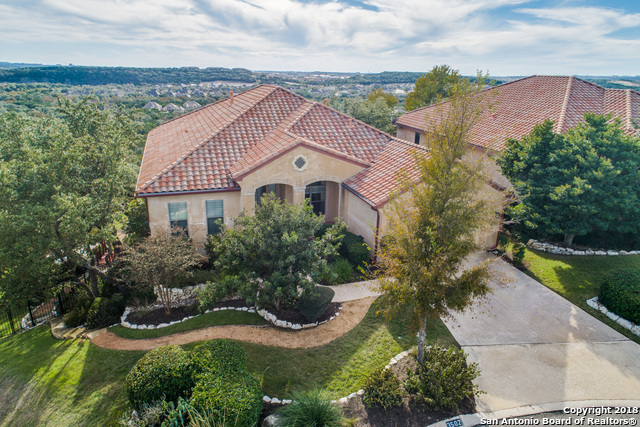 Private backyard/stunning Keith Zars pool/spa/waterfall/flagstone patio/beautiful oak trees.Close to La Cantera/Rim/USAA/Med Center/1"
"OPEN HOUSE 4/28 2 PM - 4 PM*Pride of ownership shows throughout this custom Sitterle home*Inviting open floor plan with oversize tile & plantation shutters*Chef's kitchen includes professional grade appliances with built-in refrigerator*Abundance of granite counter-tops & alder wood cabinets*Elegant master suite & spa like master bath*Study also be a 4th bedroom*Huge walk-in attic storage*Lovely covered patio & extended deck for entertaining*Mature trees & greenbelt"
"See appraiser sketch, GLA is 4,127 sqft! 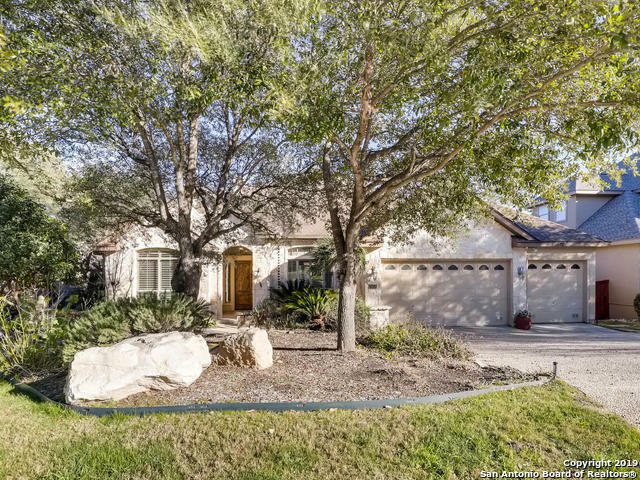 Beautiful stone/stucco home on gorgeous professionally landscaped corner lot. 3-car side entry garage. Interior finish out includes travertine & hardwood floors, granite counters, island kitchen, wine refrigerator, fireplace in family room, see-thru FP between formal living/study with built-ins. Spacious secondary bedrooms with game room upstairs. Master is down. Plantation shutters throughout. Exterior painted within 2 years. 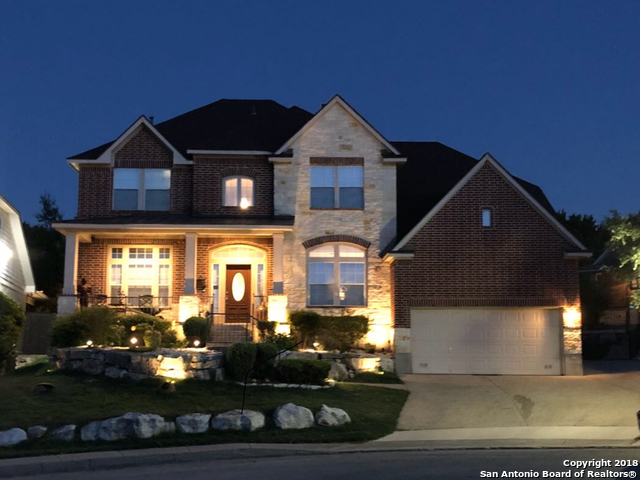 Confirm all schools with "
"EXQUISITE corner garden home on secluded GREENBELT & park w/expansive views of hill country from 90-ft WRAP-AROUND deck w/multi-patios. Stunning design w/EVERY amenity for convenience & enjoyment - see full list, attached! NEW wood floors in dining & family rooms. Upgraded fixtures, wine fridge & ice mach in kitchen. Master bath w/soaking tub, walk-in shower, re-cir hot water. 3 full baths w/granite tops. Extended utility/exercise room w/multi-cabinets. Custom shutters & window treatments. Solid"
"Views! views! & more views! 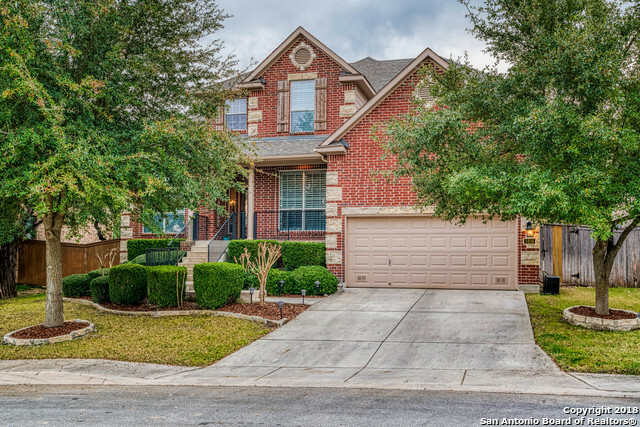 Check out this immaculate 1.5 story Garden Home in Rogers Ranch. The large open kitchen with granite counters & Stainless Steel appliances over looks the spacious Family Room. Main floor has 3 bedrooms, 3 baths and a study. Most windows have plantation shutters or custom window shades. Spacious master bedroom & bath with large walk in closet. Step outside to a covered patio with a outdoor grill, extended deck to enjoy your privacy and the views! This is a entertainers"
"Stunning custom home in the highly desirable, gated community of Falling Brook in popular Rogers Ranch! 4 bedrooms, 4 baths & over 3,300 SF on a private greenbelt lot, it's loaded w/ upgrades & a backyard oasis w/ a full outdoor kitchen, heated pool & spa. Gorgeous wood floors, a new gourmet kitchen w/ beautiful custom cabinetry, upgraded stainless appliances, a massive great room concept adjoining the kitchen perfect for entertaining, enclosed sunroom overlooks the backyard retreat. Do not mis"
"Luxury living in the Point Bluff section of Rogers Ranch. A five-bedroom, four-bath home of over 4,100 square foot home built by Monticello. Hickory and porcelain floors in the downstairs area. Open kitchen with granite counters and stainless steel appliances. Three entertainment areas in this expansive layout-a downstairs and an upstairs family room plus a bonus room that can be used as a game or media room. A spacious master bedroom and a secondary bedroom on the lower level. Three car garage." "Located on an oversized culdesac lot, this impeccable home lives like a one story & is truly move-in ready. Outstanding kitchen becomes a comfortable focal point when entertaining or just relaxing & flows perfectly into the family rm w/flr to ceiling windows & stone fireplace. Spacious master boasts a lavish spa-like bath & 2 closets. All bedrms down except Guest Suite w/ full bath, & game rm plus wetbar! 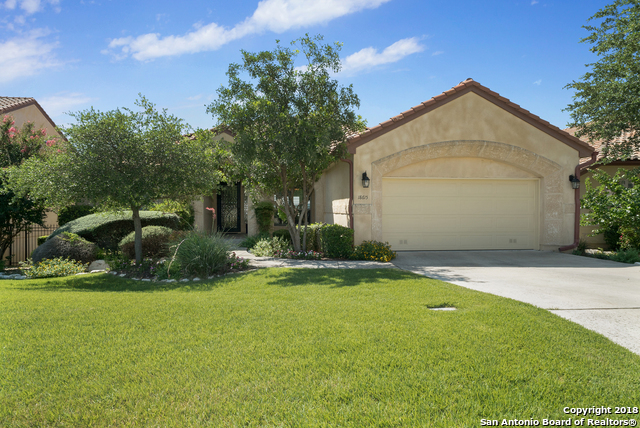 Enjoy the private backyard w/ covered patio, lush landscaping, & mature trees! 3 car oversi"
"OPEN Sun 4/14 2-4pm. 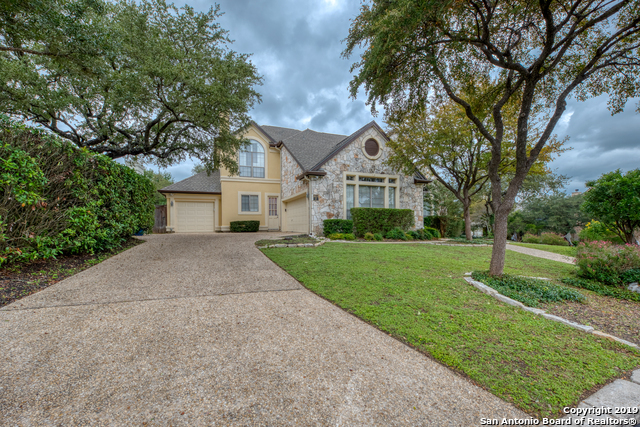 Impressive Monticello home on 0.38acre Greenbelt lot in highly desirable Rogers Ranch. Backyard Oasis w/covered patio, lush landscaping, add'l patios & room for a pool. New HVAC (2017-18), New Roof (2017). All bathrooms Updated, Master Down, 2nd Bdrm/Study Down, Upstairs game room & 3 bdrms w/en-suite baths. High end finishes, Custom built-ins, Travertine tile, Wood floors, Plantation Shutters. Gourmet island kitchen w/granite, Gas Wolf cooktop, double ovens & butler's pantr"
"Very Well maintained Sitterle Home has 3 bedroom 3 full bath, plus large study, open floor plan, move in ready. High ceilings, plantation shutters, finished storage shed, enclosed patio with outside deck and hot tub, electric sun setter awnings, 8' vinyl privacy fence, crystal chandelier, epoxy floor in garage, surround sound, high end 42 cabinets. 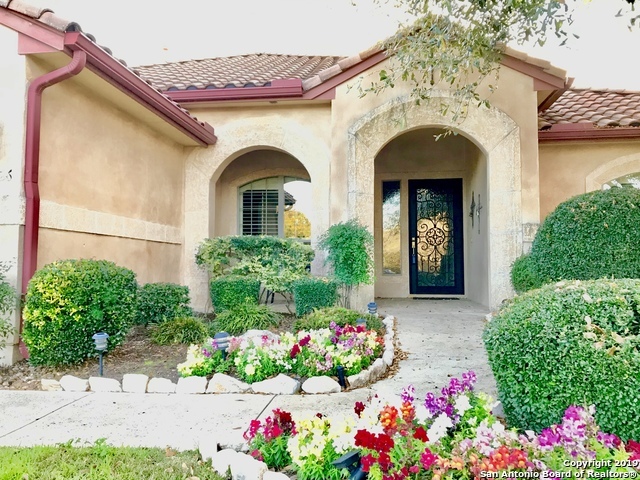 Short drive to Loop 1604/ IH10, great schools and subdivision amenities, close to gym, dinning and shopping." "Gorgeous one story home on corner lot facing cul-de-sac. Elegant details include extensive hardwoods, upgraded crown molding and fixtures, gas log stone fireplace, water filtration system and granite counters. Chefs dream kitchen with oversized island, GE DBL Convection Ovens and Cafe Gas 5 Burner Cooktop w/ SS Venthood and Self-Closing Cabinets. Master retreat with sitting area. Separate Living space for 2 bedrooms. One bedroom has own En Suite for guests. 3 car garage. Lots of storage. 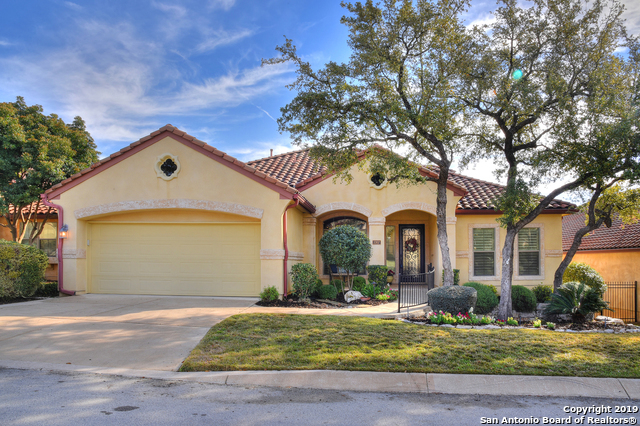 Must se"
"Welcome Home to this 5 bedroom 4 bath located in the highly sought after gated community of Rogers Ranch! Open floor plan with lots of space for entertaining! Two staircases lead to upstairs with an additional Game Room/Loft for that extra space you may need! Three car tandem garage! Custom Built ins and Art Niche in Living Room. Recent upgrades include: Granite, New Roof 2018, A/C 2012/2018, Water Heater 2017, Pool added 2015... Don't miss out! Just in time to Enjoy the pool in your private bac"
"Well maintained home with Master bedroom and Study Down, wood floors, Oversize garage. Granite Counter-tops, Vented Cook-top; Stainless Steel Appliances. Front & Back yard Landscaping & Sprinkler system and more!! Covered Patio. Stone front elevation. On cul-de-sac street!" 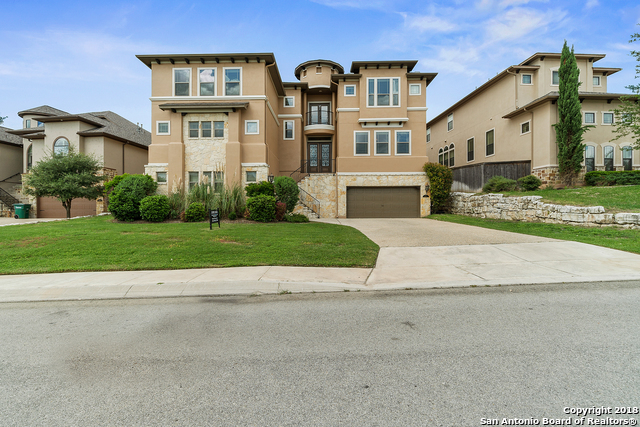 "Beautiful stone and stucco home in the Point Bluff section of Rogers Ranch. Meticulously maintained home with large oversized kitchen to include granite, stainless appliances, attractive cabinetry. Stunning staircase, high ceilings, great floorplan with master and study down. 3 bedrooms plus large gameroom upstairs. Plantation shutters, lots of storage. Private backyard with large custom covered patio. Short walk to neighborhood pool. Great location, easy access to 3 major highways, shopping,"
"Desirable Rogers Ranch! Spacious home with 4 bedrooms, office,& 3 1/2 baths. Two living areas plus gameroom & media room. Master bedroom downstairs. Kitchen with island, stainless steel appliances, & granite countertops. Crown molding. Plantation shutters. Wood & ceramic tile floors. High ceilings & open floorplan. Covered patio & composite deck extension. Flagstone area w/fire pit is perfect for outdoor entertaining. Private backyard backs to wooded greenbelt! Playset stays. Roof replaced "
"Luxury in Rogers Ranch. Convenience to 1604 is just the start in this beautifully maintained home featuring 5 BR, 3.5 BA, 2 car garage in nearly 3500 sf. Open concept living starts when you enter the living area w/soaring ceilings. Dramatic fireplace centers the room. Kitchen features lg island, dbl ovens & SS appl. Master is a retreat with remodeled spa bath w/vessel sinks & huge shower encased in seemless glass. Game room, 4 lovey BR's and 2 BA up. Covered Patio. Light & bright on a Cul de sa"
"Roger's Ranch Beauty Offers Master + Secondary Bedroom & Full Bath Downstairs, .25 Acre lot, & Oversized 2 Car Garage located on a quiet, cul-de-sac street. New Gleaming Wood floors in Family Room & Formal Dining! Study w/ wood flooring & Gourmet Kitchen w/ Double Ovens, Gas cooking, Granite counters, & 42 cabinets opens to a Spacious Family Room. Up: 3 Bedrooms, 2 Baths, & Large Gameroom. Level Backyard has room for a pool! Oversized covered patio perfect for relaxing! Gated,Community Pool,Ten"
"Wonderful two story home in gated community, centrally located in Rogers Ranch & zoned to Northside ISD schools. This beautiful brick & stone home was built with the large family in mind and features 5 bedrooms 4 baths, spacious kitchen with island & large family room with vaulted ceilings & fireplace!!! Master & Mother-in-law suite located downstairs! Large patio & outdoor kitchen ideally set up to spend time with family or entertaining friends. Also includes a spacious yard with mature trees." "Stunning and gently lived in SINGLE STORY gem with a 3 CAR GARAGE and a GREAT OUTDOOR LIVING AREA. Private study/Huge kitchen with acres of granite/Open / airy floorplan /Split design with Mst in back overlooking tranquil yard and secondary bedrms up front that are joined by a perfect game rm. area. Outdoor space with built in grill and fireplace that is perfect for entertaining. 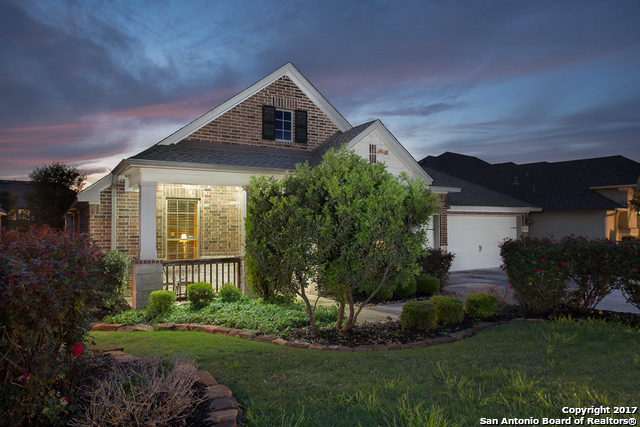 Truly one of the best locations in SA w/ easy access to 1604 / Shopping / Schools"